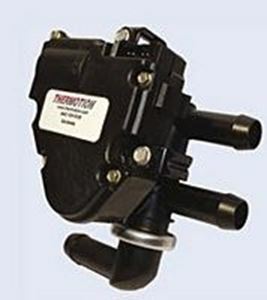 Thermotion’s Electronic Coolant Control Valve p/n 354-69494 consists of a 4-port bypass butterfly water valve powered by an electric actuator. 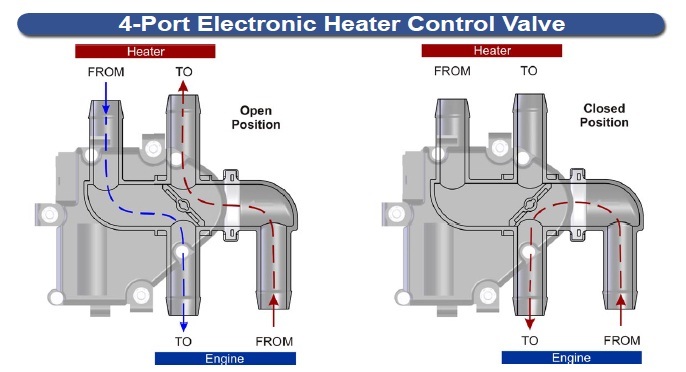 The ECC controls coolant flow with an electrical signal. An integral position feedback potentiometer is included. The ECC is ideal for use with a space- efficient HVAC system that eliminates the blend air temperature door and controls the discharge air temperature by modulating coolant flow to the heater core. 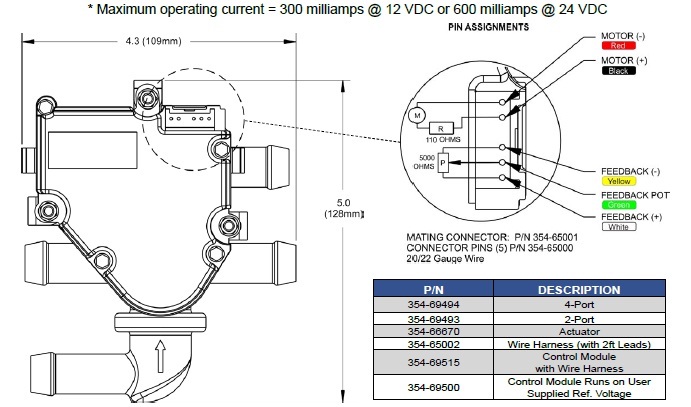 This allows the heater and evaporator cores to be installed face to face, or the use of an integral heater/evaporator core to reduce the space requirements. In some assemblies the required space can be reduced by as much as 55%. This advanced control module interfaces between Thermotion’s 4-Port Electronic Heater Control Valves and a 5KΩ or 10KΩ potentiometer. Designed to work with Thermotion's P/N: 354-69494 & 354-69494R. This control module provides precise control for the user, allowing for a wide range of control, and modulation of the valve.